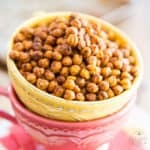 These Tex Mex Oven Roasted Chickpeas make for a uniquely delicious, healthy, easy to make and crazy addictive little snack! 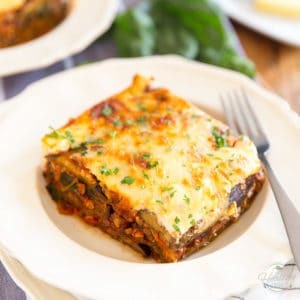 Perfect for any occasion, you’ll want to have some on hand all the time! 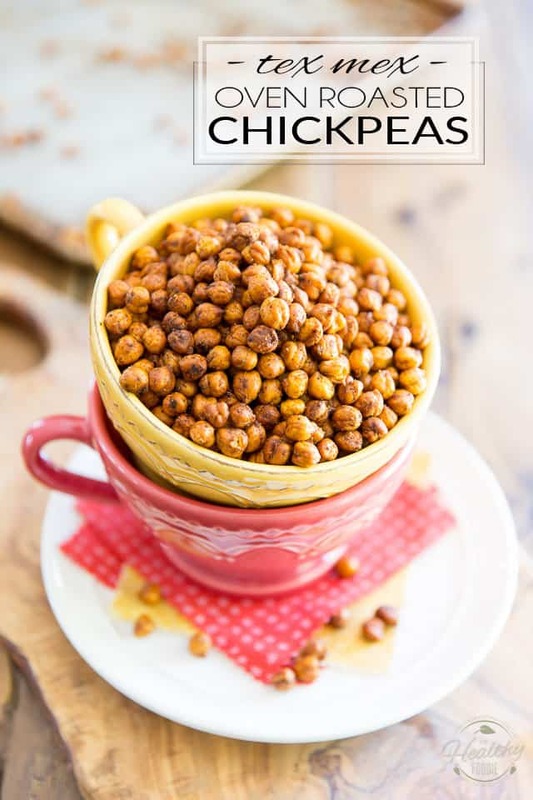 Even if you’re not a fan of chickpeas, I can guarantee that you will adore these! 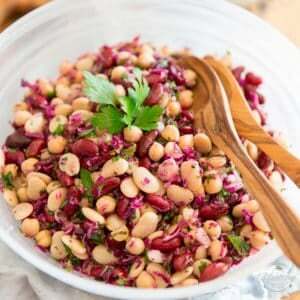 Plus, they are just so easy to make, especially if you’re going to use canned chickpeas. 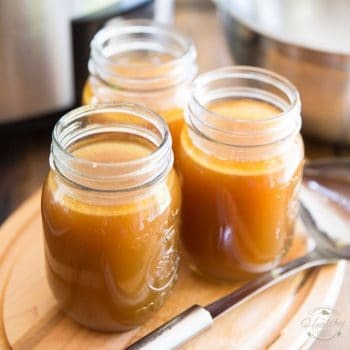 Frankly, I’ve made them several times and have used both canned and home cooked and I don’t think that there really is much of a difference between the two versions. So if you are in a pinch, don’t even hesitate and go with the canned goods. 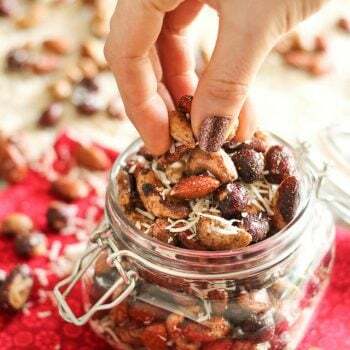 These are a great snack to have around or to put on the table when you have guests at home. Even kids would go crazy for them, I’m sure of that. 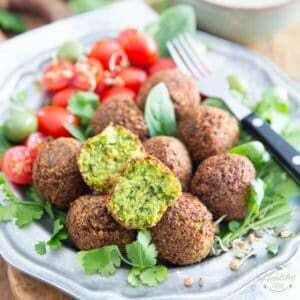 You could also make them in all kinds of different flavors, all you need to do is use different herbs and spices. Be warned though: these babies are highly addictive. Even more so than peanuts or potato chips! I don’t think it’s humanely possible to have only ONE handful. You WILL reach for another one… and another one, and then another. The good news is, they’re actually good for you so you can munch on them without feeling guilty in the least. Truth is, chances are you won’t even be able to wait until they have fully cooled before you start munching on them. There is even the slight possibility that the whole batch will be gone before it even gets a chance to cool down. Want my advice? Make a double batch! 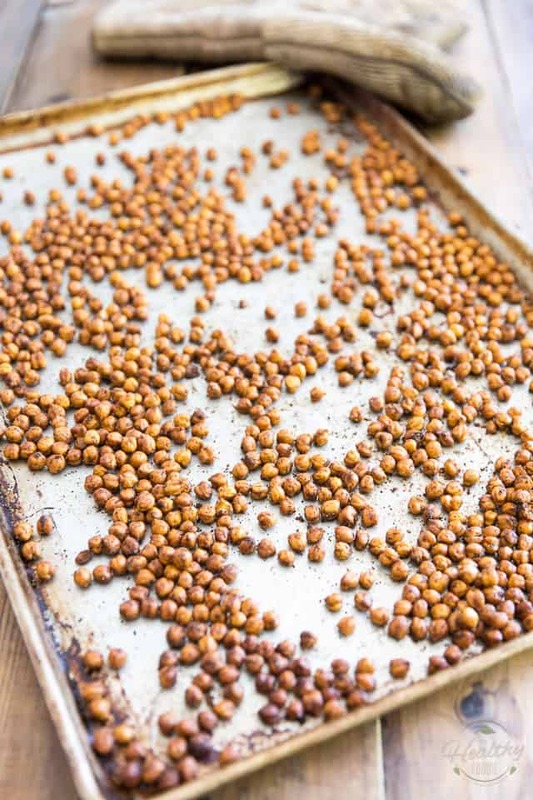 One of the key things to keep in mind when making oven roasted chickpeas is that you want to make absolutely certain that your chickpeas are completely dry; if using canned, rinse and drain them really well, then let them air dry or pat them dry with a towel if necessary. 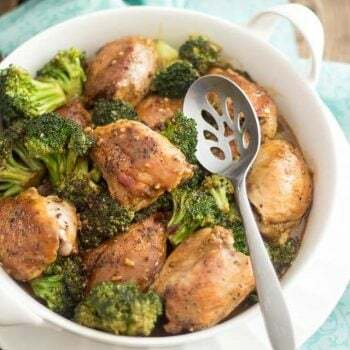 If cooking your own, drain when cooked and let them air dry while they cool. Once your chickpeas are all good and dry and ready to go, preheat your oven to 350°F. 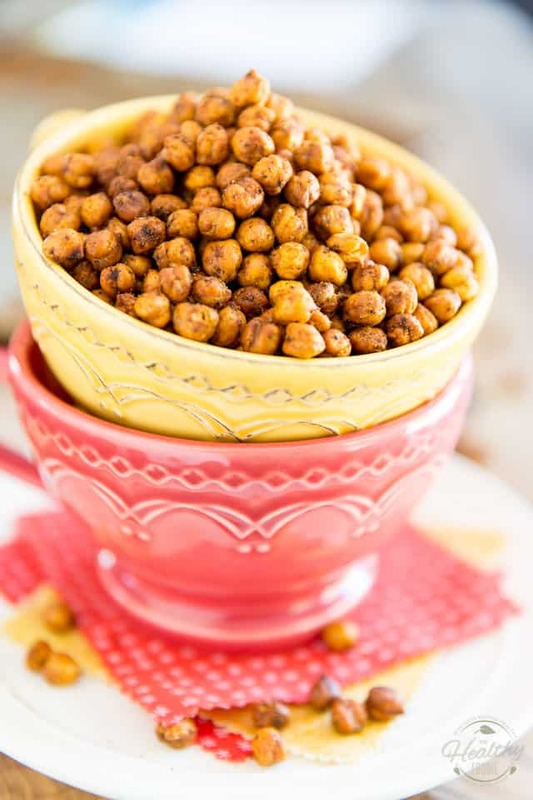 Place the chickpeas in a large mixing bowl. 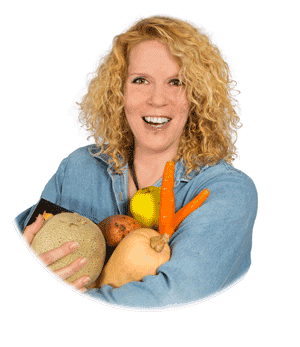 Then, in a small glass measuring cup, combine the ingredients for the Tex Mex seasoning; mix to combine and pour over the chickpeas, then toss to coat the chickpeas well. 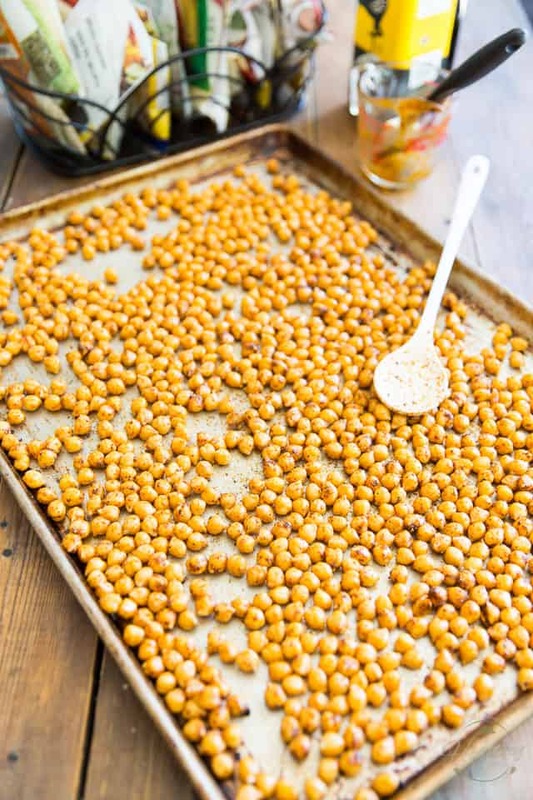 Dump your seasoned chickpeas onto a large, unlined baking sheet. Note that I used a full size baking sheet, but you should be able to get away with a half-sheet, if that’s all you had. Also, there is no need to line the pan… the heat will transfer much more efficiently if the pan is to remain naked! 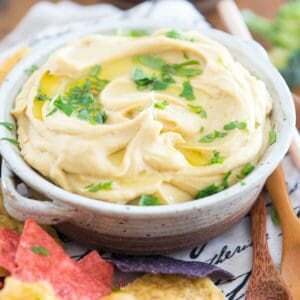 Spread your chickpeas in a single layer, and bake for 60-75 minutes until dry and crispy, making sure to shake the pan a few times during baking time. 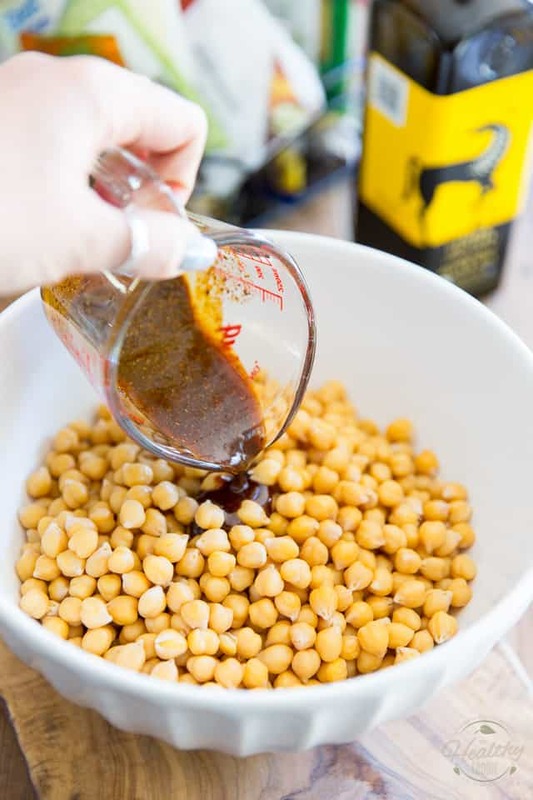 Don’t be afraid to bake the chickpeas until until they become really dry and crispy and don’t feel rubbery in the least when you squeeze them or bite into them. Don’t worry, they won’t ever go back to being as dry as they were before they were cooked; they’ll only become super crispy. Except this time, they’re incredibly tasty and crunchy and crispy and oh so crazy addictive! Weeks, as if… Can you hear me laughing? That’s NEVER gonna happen. I give ’em days, at most! 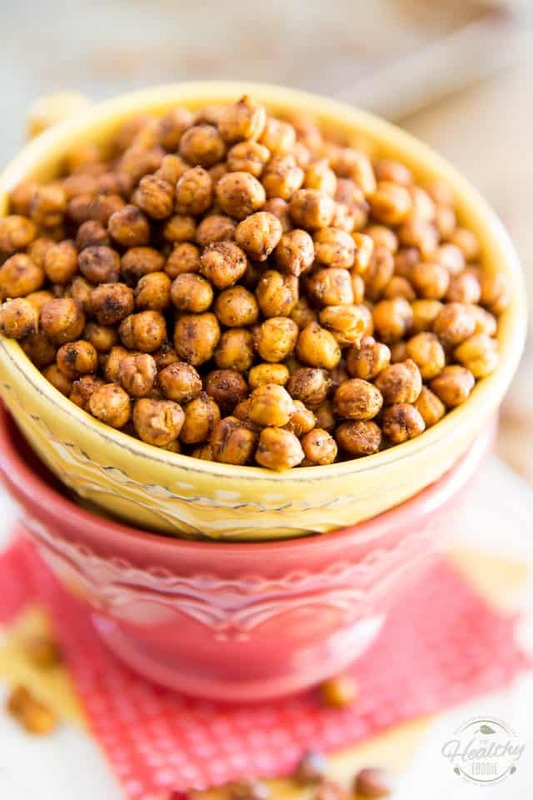 These Tex Mex Oven Roasted Chickpeas make for a uniquely delicious, healthy, easy to make and crazy addictive little snack! Perfect for any occasion, you'll want to have some on hand all the time! Place the chickpeas in a large mixing bowl. Then, in a small glass measuring cup, combine the ingredients for the tex mex seasoning. Mix to combine and pour over the chickpeas, then toss to coat the chickpeas well. 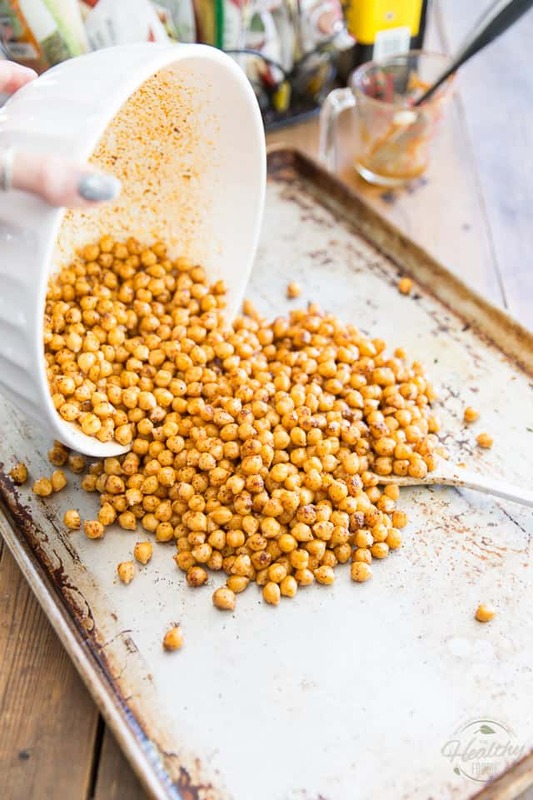 Spread the chickpeas onto a large baking sheet, in a single layer, and bake for 60-75 minutes until dry and crispy and shrunken back to their original size, shaking pan a few times during baking time. Serve warm or let cool and enjoy! Store in air-tight container once completely cooled, for up to several weeks. 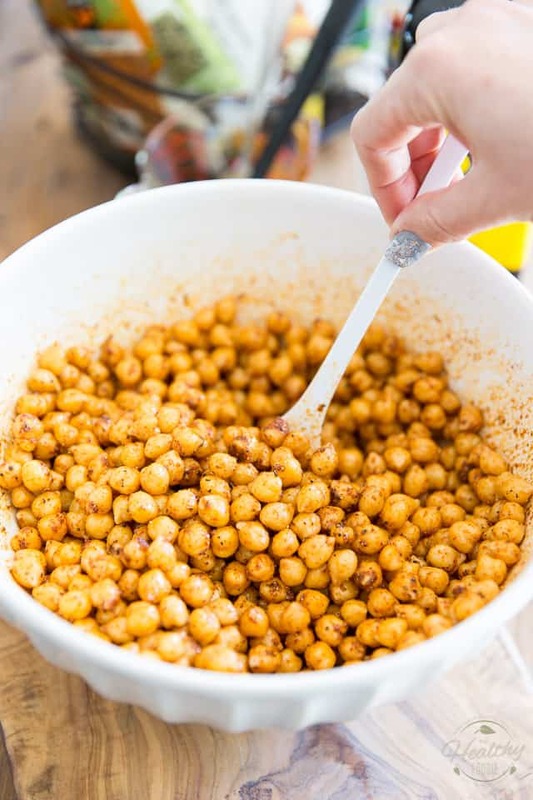 *Be sure that your chickpeas are completely dry; if using canned, drain, rinse well, then let them air dry or pat them dry with a towel if necessary. 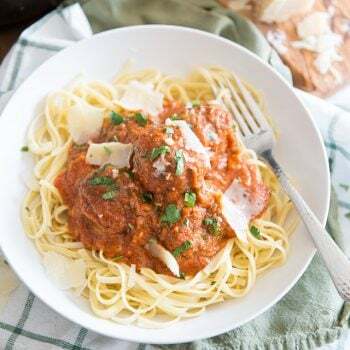 If cooking your own, drain when cooked and let them air dry while they cool. Prep time does not include initial cooking of the chickpeas, if cooking your own. Woah! I just want to grab a bite of those roasted chickpeas. And it’s interesting to know the nutritional facts of roasted chickpeas. This is definitely a nice savoury kind of snacks to munch on.